Of all the Avot, the Torah's description of Yitzchak is the most concise. Avraham's life is charted with rich detail. We know of his journey to Egypt, his argument with Lot, his war, his hospitality, his covenants, Hagar Yishmael, the Akeida. We have a full description. Yaakov too; we know of his epic struggle with his brother, his many wives and the complicated events of the birth of their children. We follow his sojourn in Aram, and Lavan's trickery, we see his favouritism of Joseph, his descent to Egypt and his grand funeral. Abraham's story spans 14 Chapters, Yaakov spans 25, and Yitzchak spans maybe 6 chapters. Isaac's essential problem: to find his own place in a world dominated by the genius of his father. He did the only thing left for him to do: He carried on. And the task of the "successor" has always been one of the most unrewarding of all the tasks in history. It has often been said that "all beginnings are difficult," but continuation can be even more difficult. The capacity to persist is no less important that the power to begin. In all the significant revolutions of history it is evident that the first generation – the "founding fathers" – usually have to struggle against formidable objective forces.. But the verdict of history … whether it was a glorious victory or merely a passing episode, lies with their successors – the generation who have to fix and stabilise the revolution. …One does not ascribe to the second generation the same glorious qualities that capture the imagination. The sons' task is to hold steady and not to create. Or as the Bible story puts it, they have to dig again the wells that the fathers dug before them and that have become blocked up. … Isaac's task therefore, even if lacking in splendour or legendary exploits, is of utmost value and significance … "These are the generations of Isaac … Abraham begat Isaac" …Isaac not only justifying Abraham, but establishing him for ever… Paradoxically, were the events of his life dramatic and momentous like those of his father, he would have lost this distinction of being a true successor. In order to fulfil his role successfully, he had to repress any urge for assertion or self-expression. He was not allowed to be anything else, either different or something new. His destiny was to be the one who carried on. … Isaac is the symbol not of the power that breaks through limitations and creates, but of the power that conserves and maintains things in their place." Rabbi Steinsaltz gives a framework in which to understand Yitzchak's inaction. And yet, despite the power and heroism engendered by this image, I still find myself searching for more. We have an impression whereby our Avot are men of action, of achievement. Did Yitzchak simply follow Abraham's lead and copy him? Did he not innovate a thing? Nothing? Even if Yitzchak is destined to follow Avraham's path and to take it into posterity, did he not expand Avraham's vision at all? 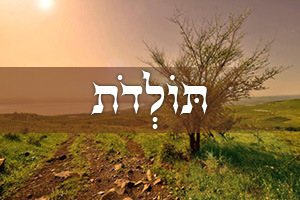 Yitzchak takes a new path a path untrodden by Avraham. Yitzchak is a farmer, and a very successful farmer too! What does this mean? What is the significance of this? Avraham was a shepherd. He wandered from place to place, a nomad, with no permanent dwelling place. Avraham is transient. He never settles in a single location and when his wife dies he has no real-estate to call his own. Yitzchak is a man of the land. He farms the land, and grips the land, argues over land. And a farmer is fixed in place. The wells don't move, the fields do not move. 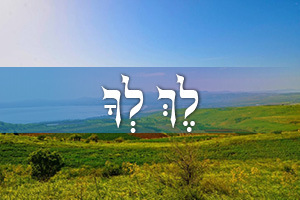 Let us dwell upon Yitzchak's connection to land. Chazal have already suggested that Yitzchak's special quality relates to agriculture; "the field." It is in the fields that he is to be found when Rivka arrives, and many mefarshim see him as engaged in farming and not prayer. Here in Ch.26 Yitzchak demonstrates his flair for the agricultural life. Indeed might we suggest, precisely upon the lines suggested by Rav Steinsaltz, that Yitzchak is the patriarch who most prominently expresses Eretz Yisrael. Avraham makes the journey to Eretz Yisrael, but Yitzchak lives there, and lives there all his life. It is one thing to come to a country, but a country is only a viable place to live if a person can live there all his life, from the moment he is born, until his death. 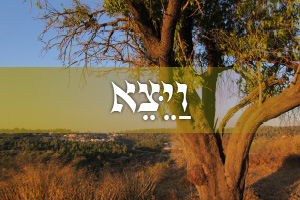 It is here in chapter 26 that God restricts Yitzchak from leaving the Land of Israel, and it is in the Perek that Yitzchak demonstrates his deep connection with the land. 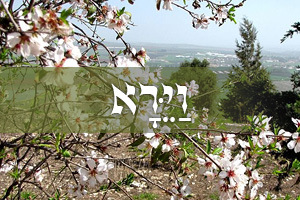 Avraham is the "Oleh" – the immigrant. He begins in Mesopotamia and comes to Eretz Yisrael. Yitzchak stays his whole life in the land. Yaakov leaves the land, and returns to it, and then leaves again, returning again posthumously. These are three classic models for the Jewish people. 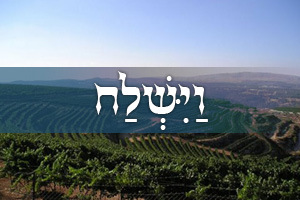 Avraham represents the initial desire to emigrate to the land. Yaakov illustrates the notion that though Jews are thrust into Galut, exile, they will eventually find their way back home, they will return, in life, or even in death. Yitzchak however is integrally connected to Eretz Yisrael. He never leaves. For a land to be considered a homeland, one must be able to spend every day of one's life, from birth to death, in the land. Yitzchak represents this type of association. In this manner, he is certainly deepening and establishing a firm foothold in the land, solidifying Avraham's mission, giving Avraham's journey to Canaan a broad foundation and a firm base, giving it roots and stability. But we should realise that by focussing on the land itself, Yitzchak isn't simply copying his father. He is taking his father's legacy and building it in a fresh way. He is creating a new reality. Hazal see Isaac as particularly holy – "Olah Temimah." This is shaped by his role as a sacrifice in the Akeida, but possibly it relates to his exclusive residence in the land of Israel. giving form to his father's vision, his way. THE WELLS AND THE PEACE TREATY. The story of the wells gives us clear insight into Yitzchak's character. Having been banished from Gerar due to his material success – apparently he was accused of monopolising the economy, talking resources from the dominant population, the Philistines, Yitzchak relocates to the unsettled sand-dunes of Gerar to begin again. Each time he finds water there is conflict. The names of the wells give us the mood of the moment: Controversy, Enmity. But Yitzchak does not give up. 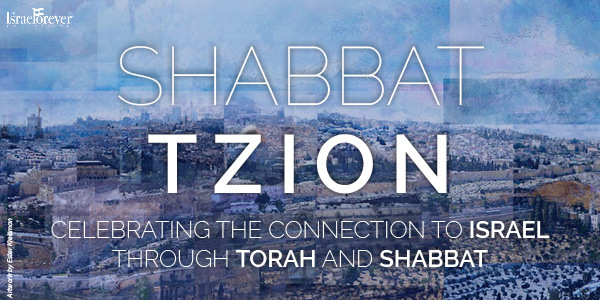 Yitzchak demonstrates a phenomenal tenacity, patience, endurance. He digs again and again. And it is upon his third attempt that the arguments cease: Rechovot – Expanse. Why did the arguments cease? It would seem that the local inhabitants of Gerar realised that Yitzchak was here to stay. They could push him aside, but he would always come back. And each time, he was more successful. They could not overpower him. And so, they had to come to terms with him. They realised that Yitzchak saw himself as having a right to the land just like they did. After all, he took unworkable territory and "made the desert bloom." After his third success even Avimelech comes in a surprise visit, offering him a peace treaty, a pact of mutual recognition and friendship. Avimelech saw Yitzchak's power and influence. He saw his superior economic power and calculated that it would be better to ally himself with this new tribe in the region. He witnessed his moral superiority, he saw his stubbornness and unremitting determination and he realised that rather than have Yitzchak as an adversary, he should make a covenant, a treaty. Peace only comes as a result of Yitzchak's unyielding stand, his bold resolve, his constant effort and toil. Yitzchak establishes himself as a fixture in the land, but it is an uphill struggle, a battle at every step. In the end, however, he emerges victorious. When thinking about Yitzchak in a contemporary mind set, I cannot help but see certain messages here for our time. 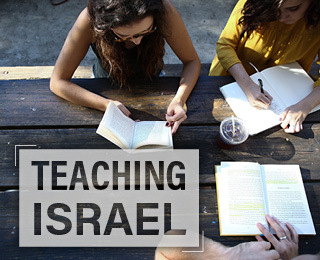 Sometimes we have the feeling that we are living in an era in which the State of Israel has already been founded; the exciting formative period of the pioneer generation has been and gone. We now face challenges, ongoing denial of our rights to our land, aggression. Yitzchak's personality has relevance and pertinence specifically in our times. We need the same defiant spirit of determination and tenacity, the same resolve to build and rebuild the land and the dream. 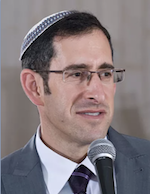 Rabbi Alex Israel teaches at Yeshivat Eretz Hatzvi and at the Pardes Institute of Jewish Studies where he serves as Director of Community Education and the Summer Program. He is a popular lecturer at campuses and communities on three continents. In 2013, he published his first book: "I Kings: Torn in Two" a commentary to Sefer Melakhim.